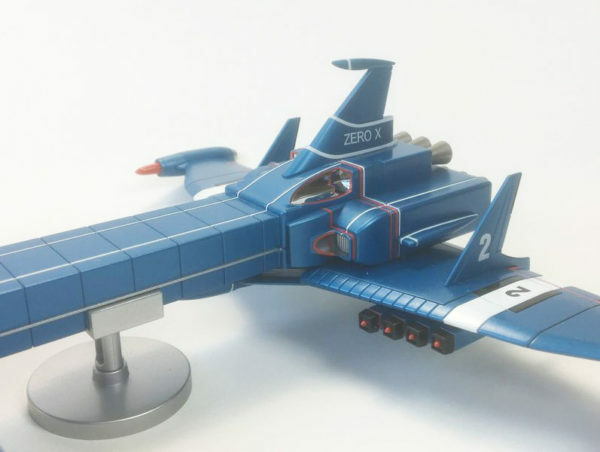 This stunning diecast model of the ‘Zero-X Solar System Exploration Spaceship’ was produced in 2006 by Aoshima of Japan. The Zero-X spacecraft appeared in the 1966 ‘Thunderbirds Are Go’ feature film, and also featured in the very first episode of Gerry Anderson’s ‘Captain Scarlet’ TV series. 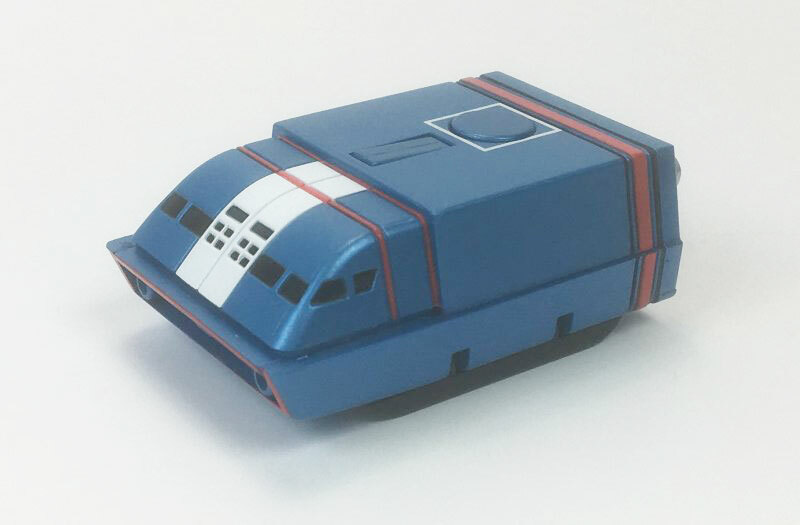 Aoshima only produced the diecast version of this model in limited numbers and they are now very collectable. The model comes from a private collection and is in ‘as new’ condition. 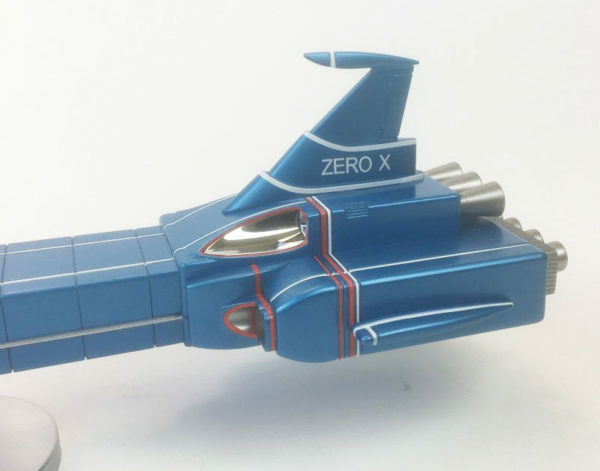 There is a small factory re-touch on the white band around the bottom of the tail fin (see photos) but it is a very small area and is only noticeable on very close inspection. 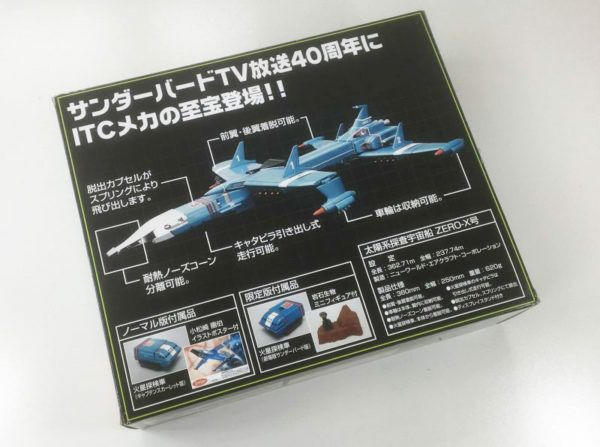 The model comes with the original packaging and literature. 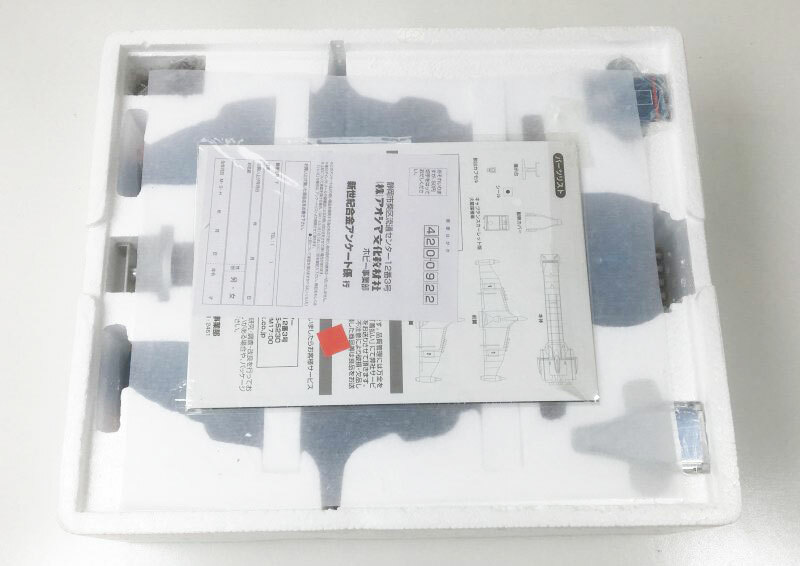 The leaflets are still sealed. 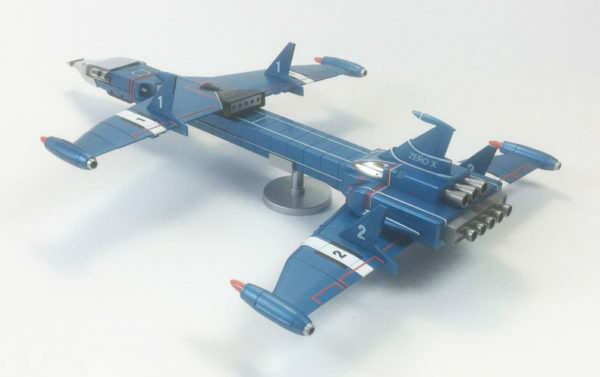 Model: ‘As new’ (Grade: 9.9) Small re-touch on white band on tail fin (model supplied this way from new). 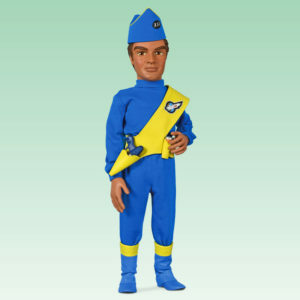 For full details of how we grade vintage items, please refer to the ‘Grading Vintage Toys’ page. 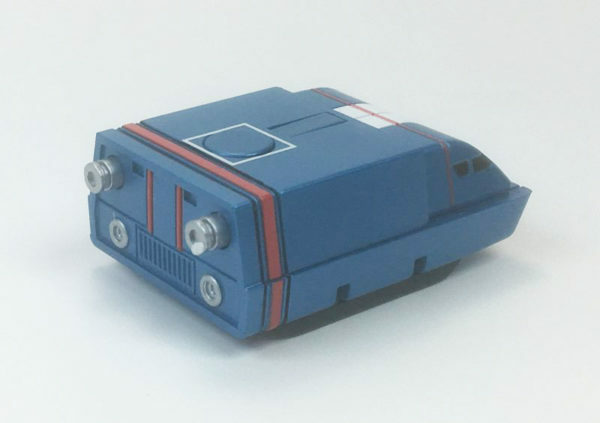 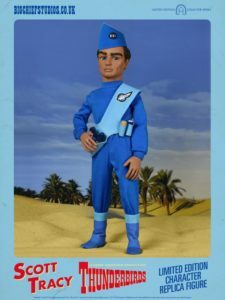 Aoshima produced two versions of this model – this one, which is the ‘Thunderbirds Are Go’ version and which includes the ‘rock-based life form’ plastic miniature, and a ‘Captain Scarlet’ version which did not include the plastic miniature. 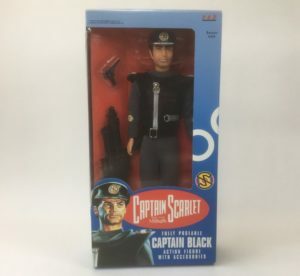 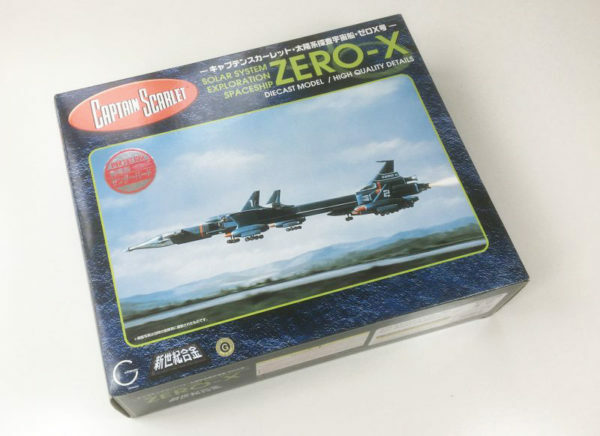 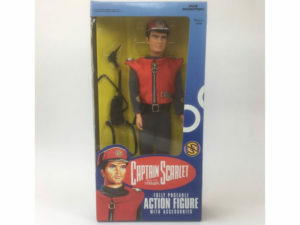 Confusingly, Aoshima kept the box artwork the same for both versions of the model so the ‘Thunderbirds Are Go’ version still has ‘Captain Scarlet’ and the Spectrum logo on the box, and the ‘Captain Scarlet’ version still shows the ‘Thunderbirds’ plastic miniature on the back of the box. 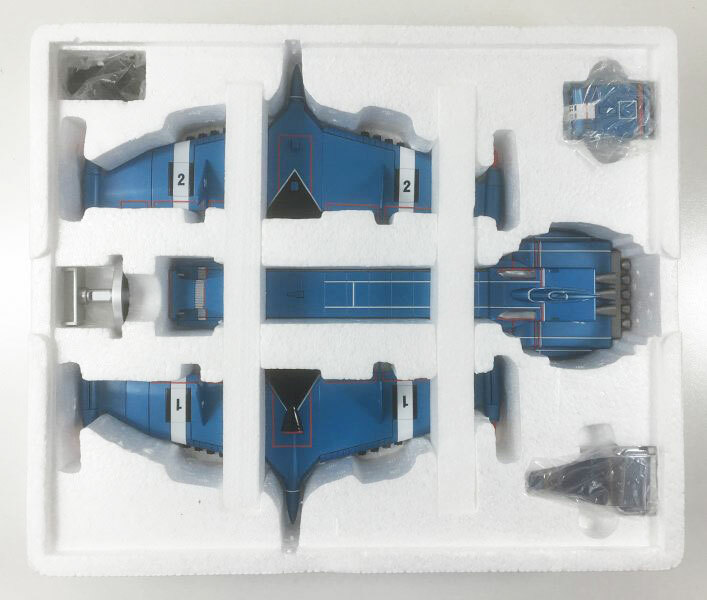 This item will be carefully packed and shipped in sturdy protective packaging.